All Time Low is the wildly popular punk pop band known for their catchy tunes and goofy band members. Their video for the song “Weightless” embodies both of those traits perfectly. Released in 2009 as the leading single for their third album “Nothing Personal”, this song quickly became the one to blast when you were feeling happy, sad, or anything in between. The accompanying video is a direct interpretation of both the song, and the album title “Nothing Personal”. 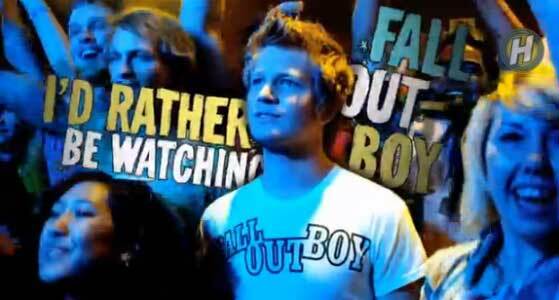 It features the entire band playing a show at a small venue before a crowd of fans with “pop up” captions that give mocking labels to the situations, fans, and musicians themselves, often ending with the tag “nothing personal”. The video is geared towards a younger generation of concert goers, as it addresses many of today’s trends (such as people always on twitter), but the song itself is upbeat and jams in just the right ways to apply to listeners young and old. 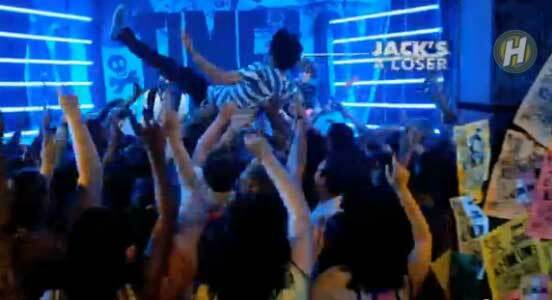 Guitarist Jack Barakat crowd surfing in his chucks. With lyrics like “maybe it’s not my weekend, but it’s gonna be my year” people are encourage to stay positive no matter how rough things may get, and to remember that life is supposed to be fun. In fact, guitarist Jack Barakat takes this to heart so much that he is seen doing an energetic stage dive towards the end of the video. While he is being bounced around with a huge smile on his face, his blue chucks can be seen as he is carried by the throngs of people. Because after all, how can you have fun without your chucks? 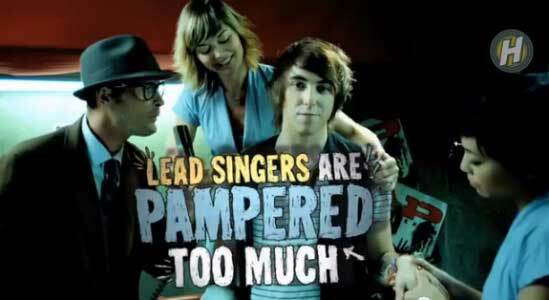 Singer Alex Gaskarth mocking other singers.